Whodathunk the boys from Muscle Shoals would have such a strong following in New York City, but there I was, midway back from the stage on a packed balcony at Webster Hall rocking along with a room full of Yankees. As the balcony frequently vibrated and moved along with the undulations of the ecstatic fans, I tried to stop myself from remembering that the old East Village landmark was built in 1886. The floor area was even more packed with people of all ages from young millennials to aged NYC music scene stalwarts (think dudes in their 50-60s wearing crusty old band shirts and Chuck Taylors). 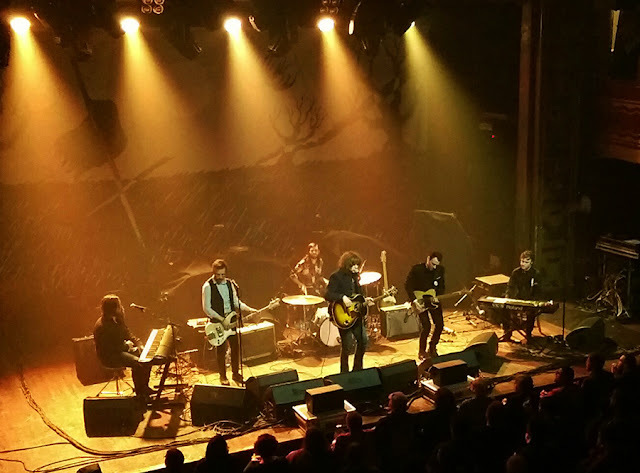 Despite the decidedly southern stylings of the Drive-By Truckers, their undeniable ability to craft a story and paint a picture with their songs coupled with their fully capable musical chops have led to wider and wider appeal, especially of late. I’m very glad they decided to bring the Darkened Flags Tour to my neck of the woods. Portland Oregon based singer/songwriter Kyle Craft opened the show and quickly gained the respect of the diverse crowd. His strong voice and driving, heavy brand of folk rock served as a nice warm up to the main show. Despite Craft’s very strong band, the highlight of his set was his Bob Dylan-esque protest song, “Before the Wall.” The performance was simply Craft playing his acoustic guitar and singing, but his powerful voice combined with the thoughtful, potent lyrics yielded an unforgettable moment that the crowd appreciated immensely. 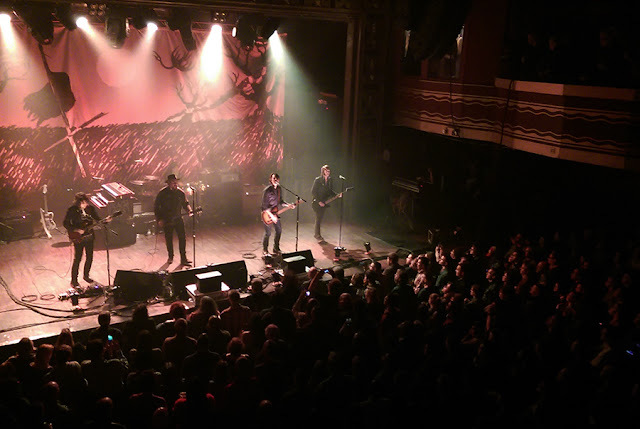 Drive-By Truckers took the stage to loud applause and opened up the show with the excellent anthem “Surrender Under Protest” from their latest studio album American Band. They would revisit the album frequently throughout the night, and everyone in attendance was totally cool with that. American Band may very well be their best album to date. In the latter half of the set, they really made me smile when I got to sing along to “Ramon Casiano,” which stands out as my favorite track on the new record. At least part of the Truckers’ recent popularity surge can be linked to another song from American Band, “What It Means.” The Hood penned, artfully constructed, poignant view of current events went a bit viral last year after Hood posted it to Facebook (as he explained when introducing the song to the audience). It’s quite obvious that racial tensions are boiling over in this country due in part to the fact that everyone now has a video camera in their pocket. Part of their message, especially in American Band, is that this brand of hate and “enforced inequality” is not new. It’s just that the world has become a much more connected place, and hopefully what we are seeing is our increased ability to root out, expose, and destroy this evil. It isn’t going to be pretty, but revolution never is. Again, the new album was well represented with nine of it's eleven songs included in the set. They obviously made sure to please their long-time fans by including a smattering of favorites from their past catalogue including going all the way back to “The Living Bubba” off Gangstability. The conclusion of “What It Means” signaled the time for the raucous close of the show at which point they launched into “Ramon Casiano,” “Let There Be Rock,” “Zip City,” Shut Up and Get on the Plane,” and “Hell No, I Ain’t Happy,” which incorporated a partial cover of Prince’s 1987 classic “Sign ‘o the Times” in the middle. It was an absolutely rousing close that again forced me to consider the structural integrity of the balcony as it shook with constant intensity. But wait, there’s more! The final song was a perfectly apropos cover of Neil Young’s vintage protest song “Rockin’ in the Free World.” They even brought out Kyle Craft and his band to help blow the performance out of the water and end the show on a remarkable high. It was truly a fitting end to a wonderful show. The band was smiling. The crowd was smiling. It was the best Saturday night any of us have had in a long time. 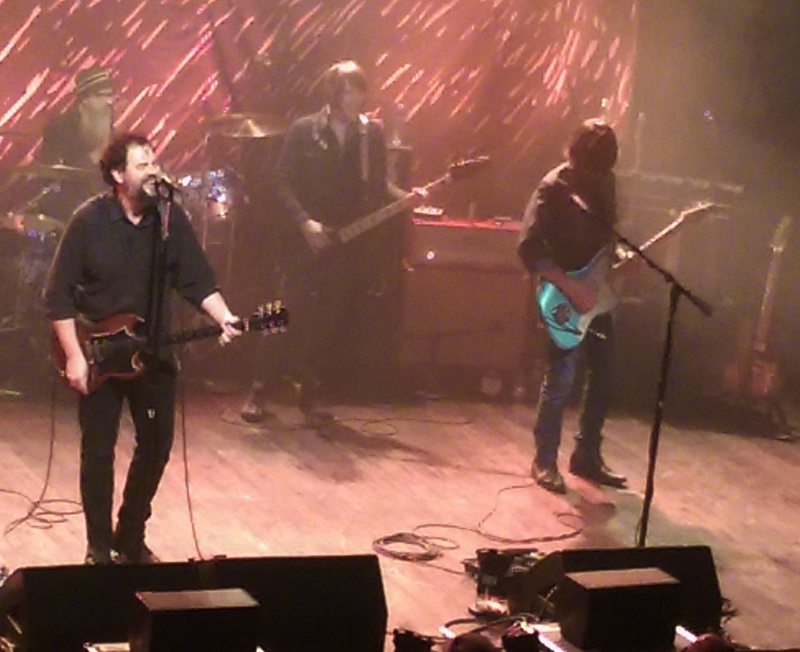 Thank you Drive-By Truckers! Please come back as soon as you can.